Are you worried that you can’t grow your own vegetables because your yard has a lot of shade? 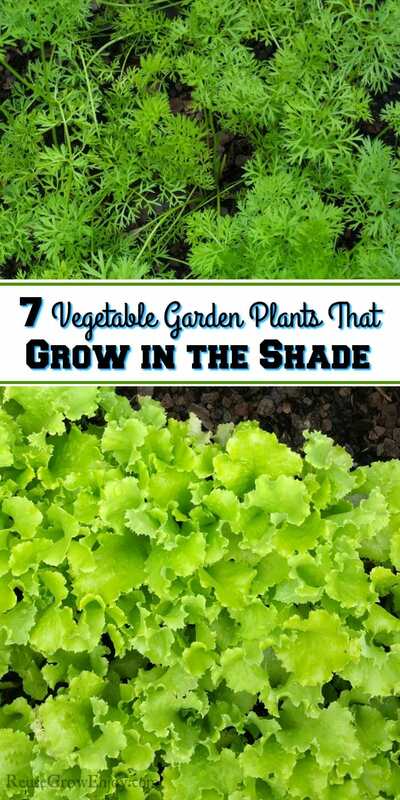 There are actually many vegetables that can grow in shade, and some even prefer it! So if you want to start your own veggie garden, don’t let the shade stop you! Here are 7 Vegetable Garden Plants That Grow in the Shade! Remember that shade comes in varying amounts. The shade in your garden may be very deep (virtually no sunlight) or just partially shaded (where there’s sun for a couple hours each day). Obviously, vegetables can’t grow in the complete dark, so try to find an area in your yard that, while shady, still gets sun for at least an hour or two each day. Also, expect your harvest yields to be less in areas of dense shade than in areas with just partial shade. You’ll also want to be very careful with what soil you use, and how you plant your vegetables. If your yard has a lot of shade from trees, that means your soil likely has a lot of tree roots, making raised beds a good choice. You’ll also want to watch out for pests and diseases, as many bugs and fungi love the shade. You can try to counteract the shade by adding sources of reflected light. For example, sunlight can bounce off of a white fence, or off of light-colored stone. You can even use a non-magnifying mirror to help direct the light. And there are also reflective mulches (including metallic ones) that are great at reflecting light back at your plants. While this won’t provide the same illumination as actual direct sunlight, it may be all you need to turn a dark corner into a shady area where plants can grow. Another trick you may want to use is to start your vegetables inside before you put them out to grow in the shade. This way they’ll be able to start growing at a faster rate and will be stronger and more impervious to the less than ideal conditions you may have in your garden. Obviously, growing vegetables in the shade is not as easy as growing in an area with full or partial sunlight, but it’s still very possible! Here are some vegetables that grow well in the shade! Lettuce can do well in the shade, mainly because shade means less heat. And less heat means fewer chances of your lettuce bolting. 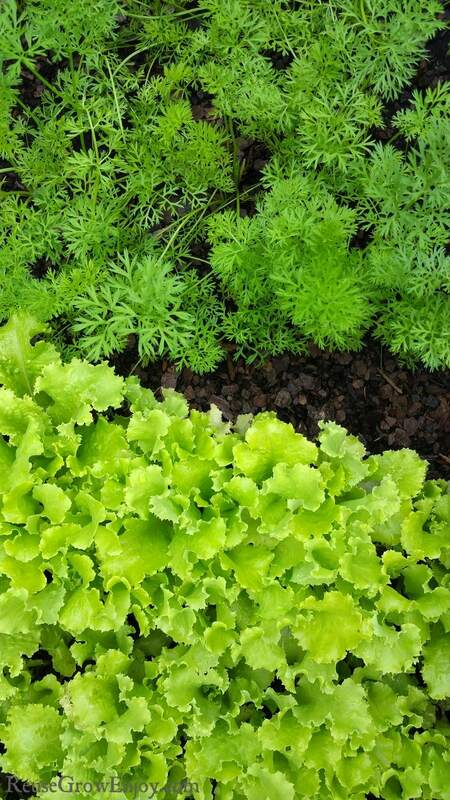 Ideally, lettuce in a shade garden would get 3-4 hours of sun a day. All you need is 2 hours of sun each day to grow a nice crop of bok choy! In fact, the super-shady parts of the garden tend to be ideal for bok choy, as it tends to bolt very quickly if it gets too hot. Spinach only needs about 3-4 hours of sun each day, making it a great vegetable to grow in the shade. You’ll have an even easier time if all you want to grow is baby spinach, as you won’t have to wait as long to harvest the leaves. If your goal is to grow baby chard leaves, your shady yard will be fine! Baby chard leaves only need about 3-4 hours of sun a day. However, if you wanted full-size, crisp, adult chard stalks, you’d need 5+ hours of sun. Yes, carrots are one of the many vegetables that grow in the shade! But be aware that it’ll take you a while to get a big crop of full-size carrots if you have a shady garden. Instead, you might want to focus on growing baby carrots. Carrots need 4-5 hours of sun a day. Potatoes also do well in the shade, though as with carrots, they won’t grow as fast in the shade as they would in the sun. But small potatoes are tasty too (especially roasted) and won’t take as long to grow. Like carrots, potatoes need at least 4-5 hours of sun a day. You can even grow beets in the shade! But (you guessed it), it’ll take them longer to grow. Still, if you can wait it out, you can grow your own tasty beets in your shady garden! Beets need around 4-5 hours of sun each day. So while a shady garden may not be ideal, it’s still a perfectly viable environment in which to grow your own vegetables. Which of these vegetables do you want to grow? If you are looking for more gardening tips, here are a few others to check out.